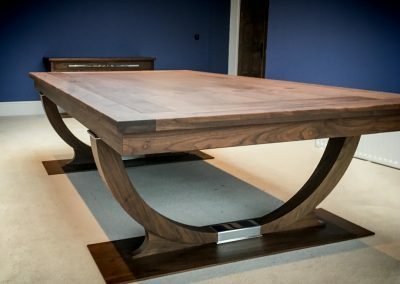 The tables shown were hand made in our Wiltshire workshops, from American Black Walnut with west-of-england wool cloth & bright nickel details on plinths and cushion rails. 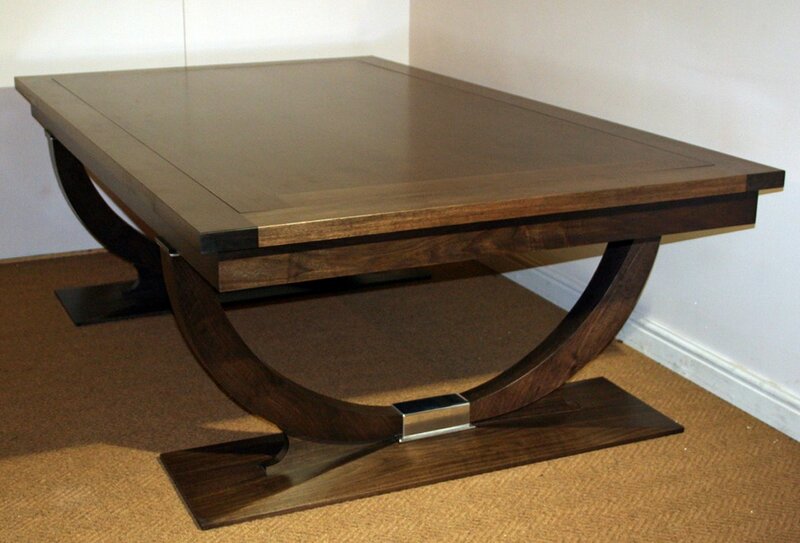 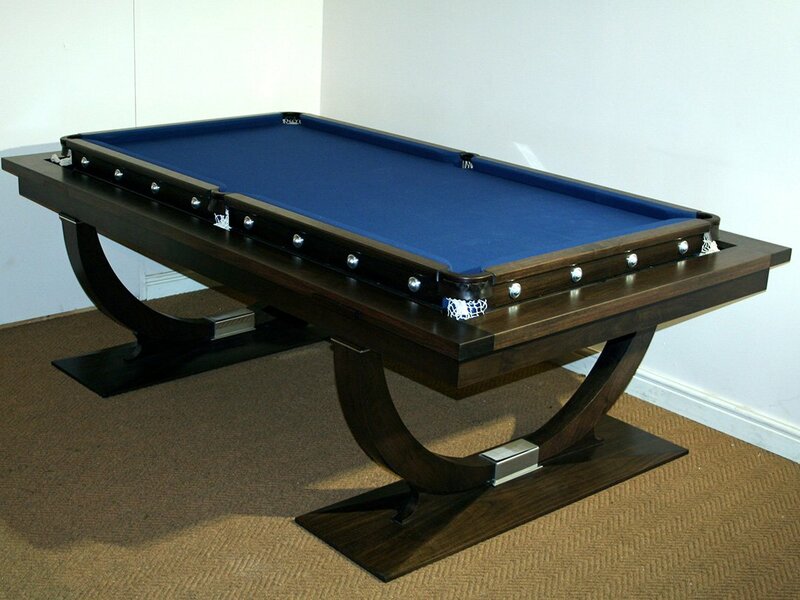 One table has an 8ft x 4ft slate – great for either Snooker or Pool. 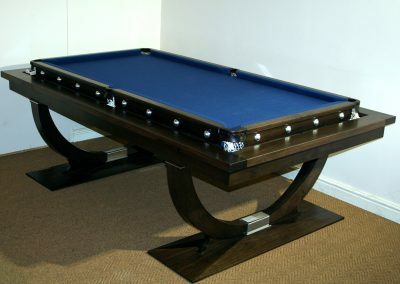 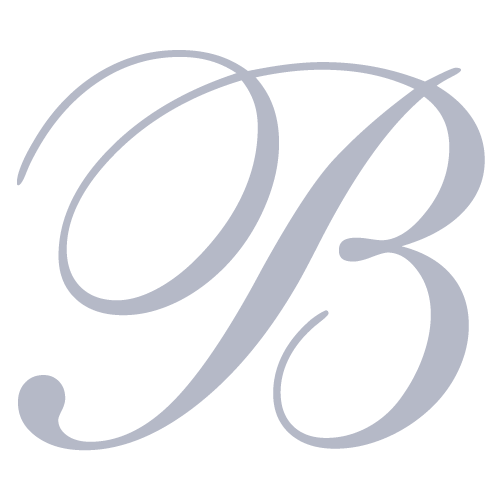 The other has a 7ft x 3ft 6″ slate – perfect for UK pool, still fun for a 10-ball snooker game. 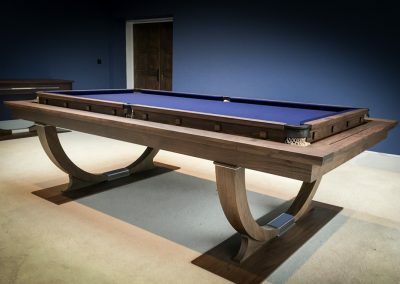 The same design works just as well with a 6ft x 3ft slate. The Continental Rollover features a precision-engineered safety mechanism enhancing the ease & elegance with which the table rolls over to transform a beautiful dining or conference table into a top-quality Snooker or Pool table.